Watch the First 18 Minutes of Spider-Man PS4 DLC "The Heist"
Later this week, the first of three DLC expansions will bring gamers back into the world of Spider-Man PS4. 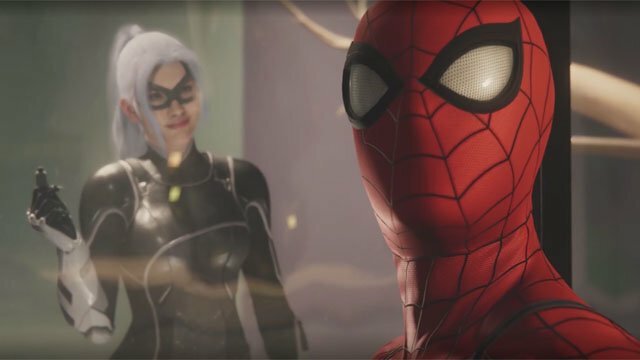 While Felicia Hardy’s return to New York City was teased in the game’s primary campaign, Spider-Man: The Heist puts the Black Cat front and center. Peter Parker’s relationship with Felicia is “complicated,” and it’s only going to get more so after this story. IGN has dropped the first 18 minutes of Spider-Man: The Heist, which offers a quick primer on where things stand after the main storyline. Wilson Fisk’s downfall is still reverberating in the criminal underworld, and various factions are vying to fill the void. Hammerhead’s mob is about to hit a museum, and they’re bringing some serious firepower. What’s so important that Spidey has to fight for his life just to fend off a small army of crooks? You’ll have to watch the entire clip for more clues, but it appears that Black Cat is several moves ahead of everyone. This DLC will also introduce three new suits for Spidey to wear as he patrols NYC, as well as new villains and a new crime faction to contend with. Mary Jane will also continue to play a large role in Peter’s new Spider-Man adventure. Perhaps MJ will also come face-to-face with Black Cat. Spider-Man: The Heist will be available via the PlayStation Store on Tuesday, October 23 for $9.99. The next two DLC chapters, Turf Wars and Silver Lining, will be released in November and December, respectively. You can watch the extended preview of The Heist below. Then leave a comment and let us know what you think of it!